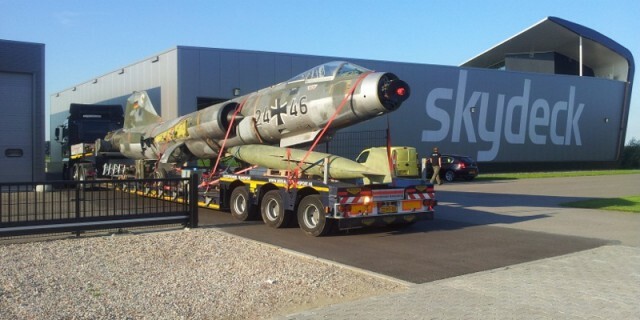 Thanks to the restoration team, here a photo taken of 24+46 when it arrived at Teuge, The Netherlands on August 26th and also some news.. 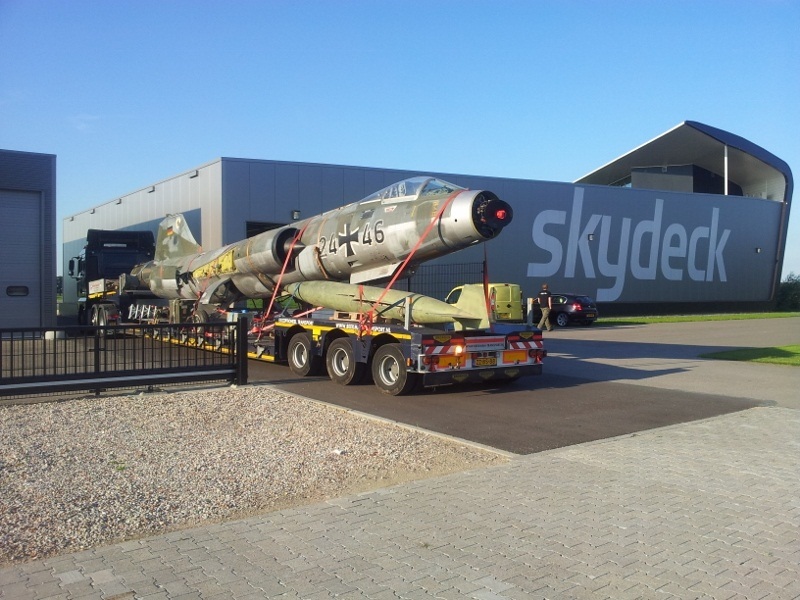 This aircraft, bought from its former owner in Germany, is now stored inside that Skydeck hangar and will undergo a 2 year restoration. Eventually it will be converted into a camouflaged (not light grey) interceptor version including sidewinders. We are in contact with the current project team and owner. We will keep you updated on the progress.